Here’s my promise – I will not commit to consult with your firm unless I truly believe that I can help your business. I decline almost as many requests for consulting as I accept. There has to be the right chemistry between the two of us and that is why that first phone call is so important. If we ultimately decide to work with each other, everything else is pretty straight forward. but generally speaking, I believe it is important to “go where the action is” in order to get the full picture of the problems, challenges and opportunities facing each firm. Second, during a typical consulting assignment, I will spend approximately 12-15 hours on-site over a two-day period of time. Throughout the visit, I concentrate on specific areas of concern raised by the owner as well as those evident from previous phone calls and a thorough examination of your financial statements. I also utilize an informal “checklist” as well as the answers provided in the questionnaire supplied by the owner. During one of these visits, it is not unusual to find myself examining a host of subjects and topics such as: computerization, high-speed copying, pricing, marketing, equipment selection, plant layout, bonus plans, staffing, increasing plant productivity and understanding key financial ratios. In addition to providing the client with a thorough verbal consulting report prior to my departure, I prepare a detailed, follow-up, written report to all clients within four days of the consulting visit. Unlike the “canned” reports that are sometimes used by other consultants, each report I prepare deals specifically with your firm and your challenges — no one else’s! What about Off-site Consulting Services? – As I noted previously, most of my consulting assignments are conducted on-site. However, there are times when that option is neither practical or affordable. In a few cases, clients are concerned with a specific issue such as a pending sale or purchase and they need advice now. In other cases, clients are facing an immediate challenge or problem and need some 3rd party advice or guidance before they make a big decision. Off-site consulting relies on phone interviews, email and regular mail to exchange information and provide advice. While rates vary depending upon services requested and time required, the typical “Off-site” visit ranges between $800-$1,000. Call for more details. I have conducted more than 425 individualized consulting visits during the past 18 years. My clients have ranged in size from firms doing less than $250,000 annually to firms doing well in excess of $10 million in sales. I have provided consulting services not only throughout the U.S. but to companies located in South America, Canada and Australia. While the size of firms and the types of challenges and problems encountered vary greatly from one company to the next, virtually all of the owners share one thing in common, and that is a strong desire to turn things around and improve their bottom line. Contrary to what many owners believe, only a relative small portion of the consulting assignments I undertake involve companies in serious financial difficulties. In fact, many of the visits involve companies that are performing at or above industry averages, and simply seek to improve on their performance by bringing in someone they can trust – someone who is respected throughout the industry and who can provide them with an educated outsider’s overview of their company. I provide all of my clients with a detailed analysis of their company’s current performance levels as well as a host of suggestions for bringing about significant improvements in a company in a short period of time. If you are looking for someone who understands sound business principles and yet has a down-to-earth, practical approach regarding virtually every facet of this ever-changing industry, then contact me today for a no obligation discussion of your current situation. We do not use “canned” or “generic” reports as do some consulting services. Every report we prepare is unique and addresses specific problems and recommendations for the client in question. To do otherwise would be a disservice to the client. For better or worse, we still operate a “real world” printing and copying firm in addition to providing speaking and consulting services. Consequently, we’ve got more than just “textbook” theory to rely upon when we offer suggestions or make recommendations. We know it isn’t always as easy as some suggest, and we also know what you are going through because it’s likely we’ve “been there and done that” ourselves! We also are honest enough to admit that we don’t always necessarily practice everything we preach, nor do we pretend to run a “perfect” company or even have the answers to all of your problems. We try our level best to blend “theory” with “real-world” practical experiences. We recognize that not everyone is an expert with financial statements or key operating ratios and thus we try to use practical examples to better illustrate the points we try to make with our clients. We also recognize there is far more to running a successful printing and copying firm than just knowing your numbers, although the latter is very important. The approach we take to each of our consulting visits is uniquely tuned to the specific firm we are visiting. We don’t have a specific outline nor do we try to make your situation conform to our mold as do others. We do not use a “pre-defined” or “canned” approach to our consulting visits. On one visit we may find ourselves spending a lot of time with employees, while on the next visit we may spend 90% of our time with the manager and the owner. Last but not least, you won’t find us subtly trying to convince you of the need to schedule an on-going series of consulting visits or to join a performance group. That simply is not the style or approach we use. Hiring a consultant is not as much a question of costs as it is a question of investing in the future of your business. Most owners typically spend or waste more in one month on either excess employees, poor equipment choices or improper pricing practices than they will ever spend on the total cost of a consulting visit. In fact, many clients often remark at the conclusion of a visit that the fee was not only a “bargain” but it was one they were able to recoup in just a few short weeks by implementing one or more of the specific recommendations made during the visit. * Fees are all inclusive, including travel, lodging, on-site visit and follow-up report. ** 80% of our consulting visits fall into this category. SAVE 15% Special Reduced Rates – Between now and March 1, 2010, we are prepared to offer you a 15% discount on all consulting visits booked and completed during this period. Call us for details. Generally speaking, consulting assignments for firms in the $400,000 to $1.5 million sales range can be accomplished in a one and one-half day time-frame. Companies with sales higher than $1.5 million or those with multiple locations, or specialized problems, may require two days or more. We require a 50% deposit and the balance is expected prior to our departure. However, with prior arrangements, payment of the balance can be placed on a credit card, extended to a maximum of 30 days. For those who may wish to do so, the entire consulting fee can be placed on either MasterCard or Visa, thus allowing you to spread the payments out over several months. As we mentioned previously, our clients do not have to wait weeks or months in order to take advantage of a consulting visit. An on-site visit can typically be scheduled within a two to four week time period. A typical visit might find me arriving late in the afternoon on a Wednesday, and then spending all day Thursday as well as Friday morning reviewing all aspects of the business with the owners and staff. I then depart later that afternoon. By the following week, my clients have received a final consulting report. Although the above is typical, there are many other scheduling options are available. If you are serious about learning more about a possible consulting visit, take the first step by calling me today for a frank, no-obligation discussion of your firm’s current situation. Second, if you decide to move ahead with a scheduled visit, a special four-page consulting questionnaire along with other items will be sent out immediately. If you’ve already made the decision and are anxious to speed up the process, you can download a copy of the consulting questionnaire that I require all clients to complete and return to me prior to a visit. 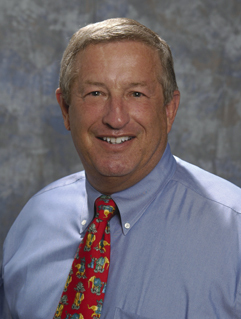 John Stewart has been providing speaking and seminar services in the printing industry for more than 20 years. He has spoken before virtually every major franchise organization and printing association in our industry. Clients such as NAQP, PIA, the BAPC, Sir Speedy, Insty-Prints, Kwik Kopy, American Speedy and AlphaGraphics have consistently rated Stewart as a top-notch speaker who consistently receives “excellent” and “outstanding” ratings from his audience. His topics range from improving marketing and productivity to financial ratios and industry pricing practices. Whether it involves a keynote address, an all-day seminar or a short two-hour presentation, Stewart consistently receives top ratings as a speaker and motivator. He is known for his humorous, yet hard-hitting approach to problem solving in our industry. By drawing upon both his own printing background as well as hundreds of on-site consulting visits, Stewart is able to provide a unique perspective to meeting the challenges facing our industry today. For further information regarding speaking fees and availability, contact Q.P. Consulting, Inc. today: QKconsult@aol.com. Q.P. Consulting, Inc. has been providing various industry research services for more than 15 years. Stewart’s involvement in industry research began in the early 1980’s when he conducted and published the industry’s first comprehensive study of productivity in the quick printing industry. Since that time, Stewart has chaired or co-chaired a number of key industry research projects and studies. Beginning in 1995, Q.P. Consulting, Inc. began publishing, in cooperation with PrintImage International (formerly NAQP), the industry’s most popular research study, The Annual Industry Pricing Study. This report has been published on a biannual basis ever since. In 1997, Q.P. Consulting, Inc. was also retained by NAQP to publish two additional key industry reports — the 1998 Wage & Salary Study and the 1998 NAQP Industry Operating Ratio Study. In more recent years, Q.P. Consulting, Inc., in conjunction with PrintImage International, has published three key industry studies — The 2005/2006 4C Practices & Pricing Study, The 2004-05 Wage & Benefits Study, the 2004-05 Industry Pricing Study and the 2004-05 Industry Operating Ratio Study. Q.P. Consulting, Inc. has frequently and consistently been praised for its accuracy and ability to produce major industry studies on a timely basis. The company is experienced in the design, distribution and analysis of a variety of survey instruments, and has been retained by various private groups, organizations and franchisers to conduct confidential surveys designed to improve various aspects of their operation. If your organization is interested in exploring new niche markets, or determining the potential value, viability or marketability of a new product or service in the quick or small commercial print market, we invite you to contact Q.P. Consulting, Inc. today for a confidential, no obligation discussion of the services we currently offer.